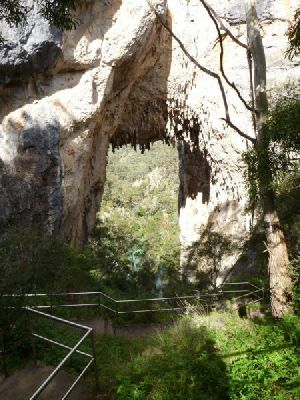 This is a great walk for those staying at Jenolan Cottages and wanting to walk to the Caves. Following the well-maintained and signposted Six Foot Track, there are great views and a variety of environments to enjoy. 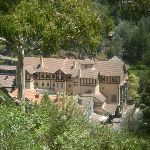 Be sure to notice the buildings surrounding Caves House as you come into the Jenolan Area. 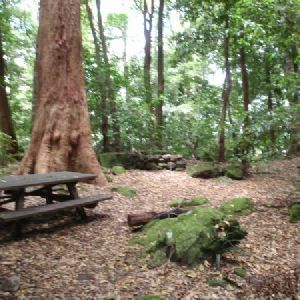 To finish the walk, Caves House is a great spot to sit and have a cup of coffee before exploring the caves or heading back to the cottages. 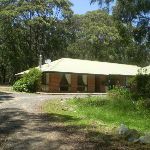 Located 9km from Jenolan Caves by road, Jenolan Caves Cottages offers eight well presented self contained timber cottages for guests to stay in. 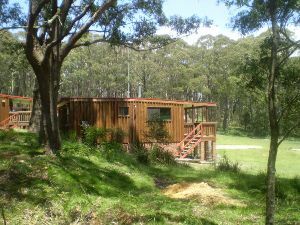 Each is fully insulated and furnished, with lounge, kitchen, two bedrooms and linen. 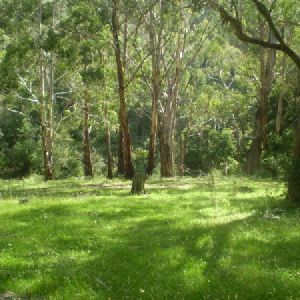 The is a large flat grassy area in front with often with kangaroos grazing and with a children’s playground. 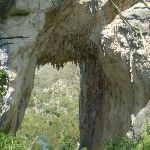 For more information call the Jenolan Caves on 1300 763 311. 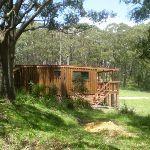 The cottages have a two night minimum stay and prices are from around $130 per night per cabin. From the intersection, this walk follows the ‘Cottages’ sign along the driveway past the ’20’ km/h speed limit sign, initially keeping the office/house to your left. The driveway leads over a small rise then heads downhill for about 300m to pass a toilet block. Here the walk stays on the driveway as it bends left and continues beside the clearing to come beside the cottages. 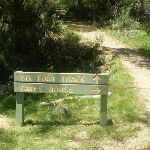 Continue straight: From beside Jenolan Caves Cottages, this walk heads gently uphill along driveway (initially keeping the cottages to your right) for about 60m to walk around the metal gate beside ‘Six Foot Track’ sign. This walk continues along this mostly flat trail for 350m through tall wooded forest to a T-intersection marked with a ‘Kia-ora Hill Fire Trail’ sign. This walk turns right and follows ‘Six Foot Track’ sign gently down along the trail for about 300m to find a fairly large flat clearing. The walk continues along the trail which generally leads downhill along the ridge line for 1.5km to where the trail moves to the side of the steep valley (on your right). The trail begins to become steeper then after 400m the trail leads particularly steeply down along the rocky trail for about 600m. Here the trial flattens out on a saddle with a Y-intersection marked with a ‘Six Foot Track’ sign (pointing right) and a ‘Mt George’ sign (pointing ahead). 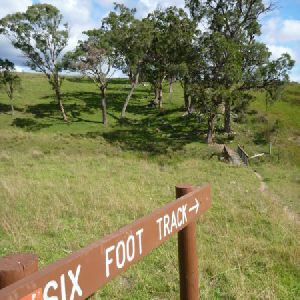 Veer right: From the intersection, this walk follows the ‘Six Foot Track’ sign downhill along the narrowing track, keeping the steep wide valley to your right. 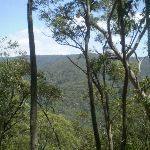 After about 25m the track leads between two timber posts and continues fairly steeply down the side of the valley with glimpses to the cave buildings for 500m where the track flattens out a bit and heads under a solid gum tree leaning over the track. The track continues leading downhill for another 300m to cross a narrow saddle and along a very narrow ridge where there are good views down to Blue Lake (on your left). The track now leads down some timber steps for about 50m to a T-intersection with a gravel path where a ‘Six Foot Track’ sign points back uphill. Turn left: From the intersection, this walk follows the ‘Caves House’ sign gently downhill along the gravel path a short distance to an intersection and fenced lookout near ‘Carlotta Arch’ (on your left). Turn left: From the intersection, this walk goes down the stairs until coming to the entrance of the cave. On the way, this walk goes under the towering Carlotta’s Arch. The lookout has great views of the valley and Blue Lake. At the end of this side trip, retrace your steps back to the main walk then Turn left. 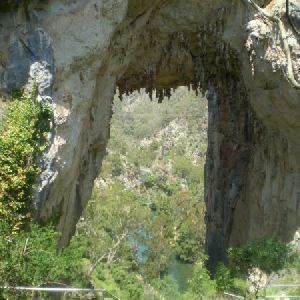 Carlotta Arch is a large and spectacular cave remnant overlooking Blue Lake. It is believed that the arch was named in honour of a daughter of a surveyor – General P.F. Adams. Adams is credited with having taken some of the earliest photos at Jenolan. Continue straight: From the fenced lookout near ‘Carlotta Arch’, this walk follows the ‘Caves House’ sign gently uphill along the stone path with handrail. The path leads over a small rise to a view into another valley. Here the path begins to zig zag fairly steeply downhill for 150m beside the limestone cliffs passing views down to Caves House, past a bench seat to a ‘Caves House’ information sign. The path continues more gently downhill for another 100m past the ‘Grand Arch’ information sign (and view of the Arch) then just over 30m later to the ‘Southside Show Caves’ information sign. The path continues down the side of the valley for another 80m to head down some concrete steps to the side of Jenolan Caves Road, opposite Caves House, where a ‘Six Foot Track’ sign points up the steps. The official end of the Six Foot Track. 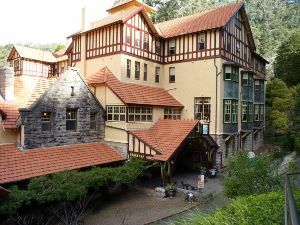 Jenolan Caves House, built in 1898, is a heritage-listed building which houses dining, a variety of accommodation options, and other services for visitors to the caves. Jenolan has two licensed restaurants: Trails Bistro is open from breakfast onwards and closes early evening. Trails serves a range of light meals including sandwiches, salads and hot food. Chisholm’s Restaurant is open each morning for breakfast and each evening for dinner from 6.00pm. Essential items and beautiful souvenirs may be purchased from Things Jenolan, located on the ground floor of Caves House. Don’t forget to explore one of the many caves to explore in the area. 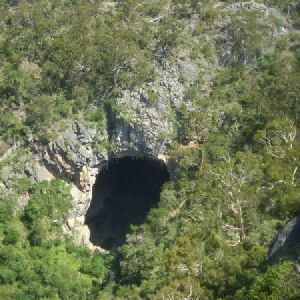 For more information, call Jenolan Caves on 1300 76 33 11. 3.7km of this walk is very steep and another 540m has gentle hills with occasional steps. Whilst another 410m has short steep hills and the remaining 15m is flat with no steps. 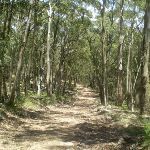 3.3km of this walk follows a clear and well formed track or trail and another 870m follows a formed track, with some branches and other obstacles. The remaining (430m) follows a smooth and hardened path. Around 3.7km of this walk has directional signs at most intersection, whilst the remaining 970m is clearly signposted. 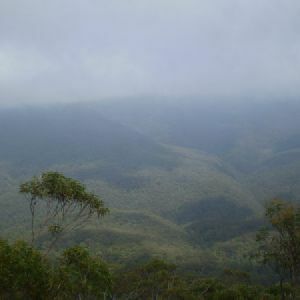 Around 3.8km of this walk requires no previous bushwalking experience, whilst the remaining 870m requires some bushwalking experience. 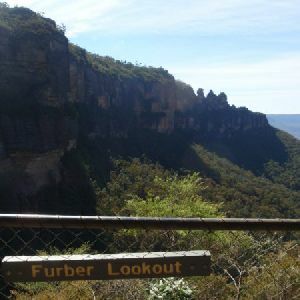 Around 3.8km of this walk is close to useful facilities (such as fenced cliffs and seats), whilst the remaining 870m has limited facilities (such as not all cliffs fenced). 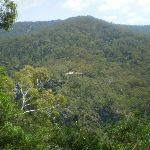 A list of walks that share part of the track with the Jenolan Cottages to Caves walk. 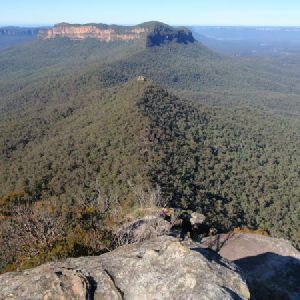 From Caves House, this short but relatively steep trail goes up to Carlotta’s Arch, enjoying fantastic views out over Blue Lake, the Jenolan Valley and River. Back at Caves House, you can enjoy a cup of coffee or a milkshake in the bistro. 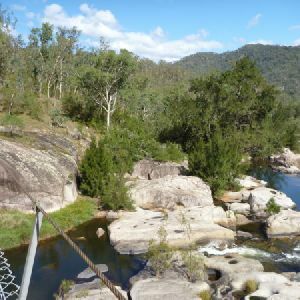 For those in Jenolan primarily do a caves tour, this is a great walk to add a little bit of variety to your day. 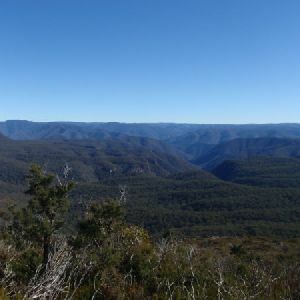 Following the ridge above the Jenolan River, this walk enjoys great views of the valley along its course. 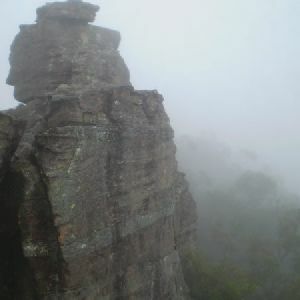 From the various lookouts along the way, it is possible to see the Six Foot Track across the valley. 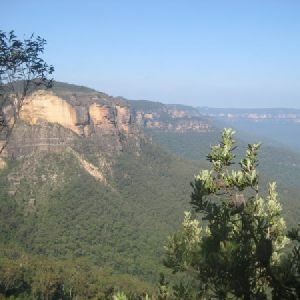 Caves House is a great spot to start and end the walk with a relaxing hot drink or snack. 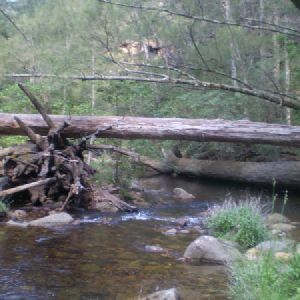 Exploring the Jenolan River, this track makes for one of the more beautiful walks in the Jenolan area as it winds its way along the creek bed. High cliffs on either side form an amazing valley, and there are views of the caves as well as a great spot to break at the campsite. 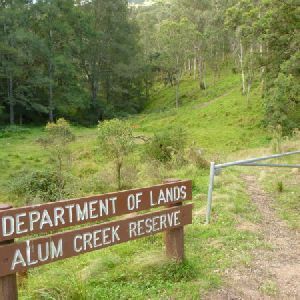 Looping around the northern bush tracks surrounding Jenolan Caves, this walk explores a variety of different environments, up on the ridges and down along the river. The campsite is a great spot to break and enjoy the quiet, at one of the less-frequented areas of the park. Be sure to allow time to enjoy the views from up on the ridge and especially of Carlotta’s Arch. Watch out for stinging nettles down on the river. 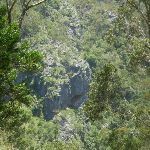 A list of walks that start near the Jenolan Cottages to Caves walk. 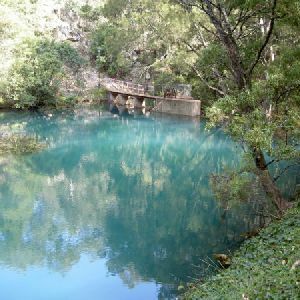 This walk takes you from the Grand Arch along the surreal Blue Lake, following the hillside downstream to the old Jenolan Caves Hydroelectric Station. The track is dotted with magnificent views of Carlotta’s Arch and the top of the Grand Arch. The circuit-style walk brings you underneath the bridge and back to the amazing Grand Arch. 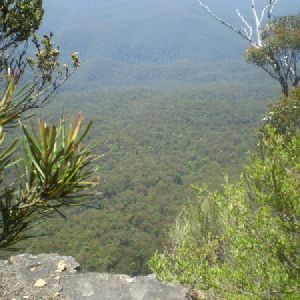 http://new.wildwalks.com/wildwalks_custom/includes/walk_fire_danger.php?walkid=nsw-jkcr-jctc Each park may have its own fire ban, this rating is only valid for today and is based on information from the RFS Please check the RFS Website for more information.